World's Most Accurate Pistols -- bold claim! 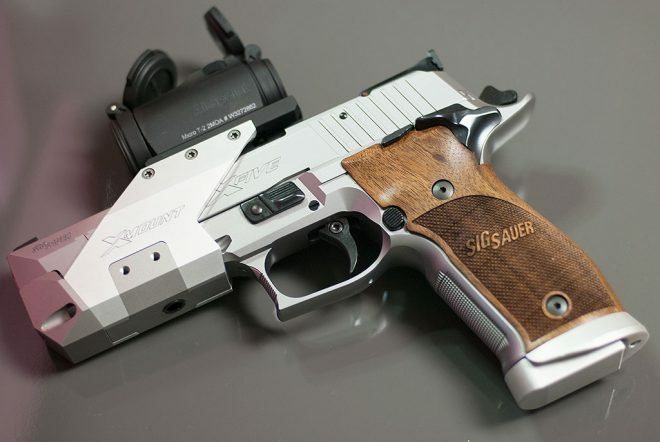 An interesting test of some interesting pistols rarely seen in the Bullseye world (i.e. not 1911s). The winner will surprise you I think. It's been discussed a little bit here before and people suggested it would not make a great bullseye gun. 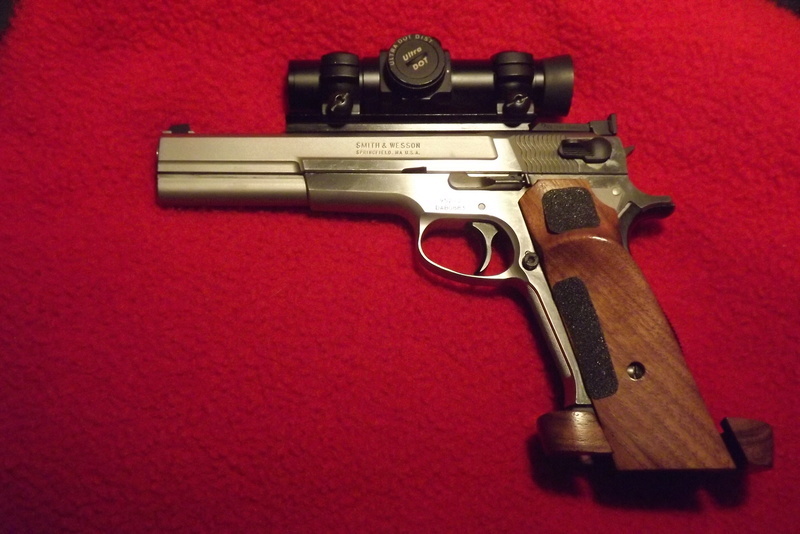 Given our interest in accurate firearms, I think you will enjoy this article. funny stuff... I could fart marbles in tighter groups than they got. That's true. Their groups at 25 yards, a good 1911 will do at 50. Tests at 50 yards might have been an eye opener. I really don't know what these "tests" accomplished. That's pretty much it. A fun day at the range with some great pistols. I hoped that like me you enjoyed reading about the various models and looking at the pictures. The X-Five sure looks nice, but those preferring more classic looks may disagree. I thought it was a good test. The test showed what average shooters with limited testing tools were able to accomplish. I would go so far as to say it is possible to pick a pistol from that list that would be fun to shoot (accurate) and wouldn't require a lot to make BE ready. I would have liked to have them test the 952 they mentioned but probably don't have. That's my .02. Christopher Miceli wrote: funny stuff... I could fart marbles in tighter groups than they got. we always joke about shooting greased rocks on the short line... No groups bigger than 1.5" @ 50 get my blood pumping anymore. Fun article though, they put a lot of work in for sure. That would be a sight to see. Can I sell tickets? I shot my second best slow fire score with my S&W 952 (long slide version, iron sights) in an outdoor sanctioned match; 98-6X. No thank you. I'll pass. I'm a coauthor and occasionally post here on equipment stuff like adjusting the Pardini triggers. We know that we didn't accomplish what we set out to do which is test mechanical accuracy absent a Ransom Rest. But we figured since no one else is testing oddball stuff head to head we'd post it anyway and show our full work rather than just hide behind carefully select groups or qualitative assessments. I'm a former collegiate standard pistol shooter (many many years ago) and I make no excuses for my poor shooting here. None of the stuff in this first group was dedicated bullseye gear though you could call the P240 that. We do have the 1911s and rimfires including the Pardini SP coming up for other rounds of group tests but you're likely to continue to see 25 yard 1 to 2+ inch groups at absolute best from us again so no useful information for bullseye shooters. Why even try then? Well, so few people are sharing information about any of these pistols and I'm hoping that we can at least give some small bit of useful information about some interesting pistols. If anyone wants to laugh at my shooting live, I'm going to start shooting in local NJ bullseye matches after decades away from competing so you can feel free to watch me struggle at the bottom of the Marksman classification. I would recommend if you can put an 8x scope or a dot on the pistols you test that way you can level the playing field sort of speak and take out some of the human error in looking at iron sights. I find it difficult to sandbag a pistol with iron sights and I feel like I am a fairly good iron sight shooter. Some are better than others at shooting off a sandbag. Thanks for the recommendations all. I love shooting iron sights the most but I'm starting to realize that my middle aged eyes now deal better with red dots. Len, we actually have a 952-2 6" Longslide that bac1023 owns that we can test as well. Good, now I don't have to loan you this old beater to test. I really wanted to see how they would perform in your test. That was some good shooting joy2shoot. Yuns keep up the good work. Like most Bullseye competitors I judge the accuracy of any pistol by its 50 yard results. Have I used 2" and even 3" guns in my life? one of the outstanding smith out there. These test results highlight the value and need for those talented gunsmiths, in my opinion.